Neurcumin® is designed to be part of a balanced living plan. It is a supplement to – not a substitute for – a healthy lifestyle. Many factors contribute to overall health, including diet, exercise, genetics, and environmental factors, among others. Nevertheless, supplementation of our bodies through the use of vitamins, herbs and other natural substances like those found in Neurcumin® can have a major positive impact on our overall health. Take inflammation, for example, a topic discussed at length on this website. Information provided by medical studies and literature show that inflammation is directly related to aging, and hence inflammatory and age-related disorders. Therefore, keeping inflammation under control should be a part of anyone’s comprehensive health strategy. Inflammation affects people differently. You can determine the extent of inflammation in your body by obtaining a test that determines your level of C-Reactive Protein (CRP). CRP is a general inflammation indicator that can determine inflammation-related cardiovascular risk. CRP levels correlate with cardiovascular risk as follows: Less than 1 mg/L (low risk), 1-3 mg/L (medium risk), greater than 3 mg/L (high risk). Unfortunately, test for markers of inflammation in the nervous system are not as developed. 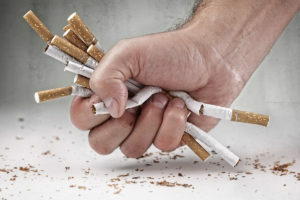 Stop smoking: Smoking ravages the body. The injurious mediators associated with smoking promote free radicals and irritants, causing inflammation and other forms of serious damage. Increasing the intake of omega-3 fats (fish, fish oil, flaxseed oil). Exercise: Regular exercise improves low-grade chronic inflammation. Weight Reduction: Obesity increases inflammation in the body, while lowering your weight reduces it. Improved dental hygiene: Inflammation is not disease-specific. Periodontal disease is associated with a higher risk of cardiovascular disease and stroke. Sleep Better: Even a modest loss of sleep can increase inflammation. Lack of sleep or sleeping at odd hours increases inflammation and the risk of major illnesses, including cancer, heart disease, diabetes and obesity — all of which are inflammation related. DISCLAIMER: The health-related information on the NEURCUMIN.COM website is meant for basic informational purposes only. It is not intended to serve as medical advice, substitute for a doctor’s appointment or to be used for diagnosing or treating a disease. Users of this website are advised to consult with their physician before making any decisions concerning their health.